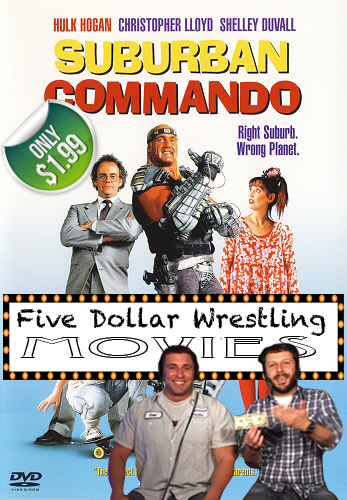 5 Dollar Wrestling is the brainchild of two people – Chicago comedian Marty DeRosa and wrestler / occasional standup Colt Cabana, with help from wrestler / promoter / interviewer Jake Manning. They found a super-low-budget indie wrestling promotion in North Carolina (or created one, their origin story has yet to be told), renamed it 5 Dollar Wrestling and started filming shows with their own commentary on top. They deliberately hire wrestlers who are no good, and have jokingly punished guys who wrestle too well. For $5, it’s a heck of a lot of fun, and they’ve created a star of sorts in Freight Train, a huge, sweet guy who loves making the “CHOO CHOO” noise before putting his opponents away. They’ve branched out with the 5 Dollar Wrestling brand, as well. When they know they’re going to get a lot of wrestling fans and friends in the same area (usually, the same weekend as WWE runs one of its major arena pay-per-view shows) they’ll do live shows, where Cabana and DeRosa will show footage of old, terrible wrestling from round the world and provide a live commentary on it. It’s loose and fun, although you probably have to have been a fan of wrestling at some point to appreciate it. Their latest venture is movie commentaries. For $1.99, you can download them doing commentary for a number of films, and can either play them while you’re watching the DVD or sync the mp3 up with the Youtube video and watch them that way. They’re all wrestling related, but occasionally the link is pretty minimal, and I think you, dear reader, would enjoy them no matter your opinion on the activities of the squared circle. Hulk Hogan was, bafflingly, in the first flush of movie fame when this came out. His great work in “Santa With Muscles”, “Thunder In Paradise” and the “Assault on Devil’s Island” franchise was ahead of him, and this was only his second starring role. And what a role it is! He’s a space hero who, while having an argument with his boss over the ol’ space-intercom, punches his controls in frustration and manages to break his ship, sending it on a collision course with a small, insignificant blue-green planet. Actually, that sounds stupid. That can’t have been the sole reason, surely? It must have been a shot from one of his enemy’s ships. Whatever, he crashes on Earth. Suburbia! Hogan can’t stop himself from righting wrongs, so we see him help Grannies, punish minor criminals and help cats out of trees, all while the most delightful pop-reggae soundtrack and bright colours entrance us all. He rents a house with Shelley Duvall and Christopher Lloyd, and helps the family to overcome the minor obstacles in their life while a couple of space bounty hunters (one of whom is the Undertaker, one of the other most famous pro wrestlers of the last 25 years) attempt to track him down. There’s really not a lot more to it. Without this commentary, there’s no way any reasonably sane human being would bother to watch this film in 2013, unless you were the world’s biggest Hulk Hogan fan, or you were being held at gunpoint, and even then, it’d be a toss up. Cabana and DeRosa are funny, while being completely unprepared (DeRosa admits to not having seen the film in 15 years). It’s a combination of bad Hogan impressions, incredulity at the stupid film unfolding before them, pretending every minor character in the film is a forgotten wrestler from the sport’s golden years, and some surprisingly quick wit from both men. In other words, worth every penny of $1.99. If you know a pro wrestler and a standup, invite them round for this film and you might recreate the experience, but for everyone else I highly recommend http://www.coltmerch.com – they’ve now done several other wrestling-related film commentaries. While researching this film, I also discovered a new comedy treat – IMDB keywords. 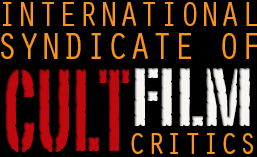 Check em out – http://www.imdb.com/title/tt0103003/keywords?ref_=tt_stry_kw . Can you imagine ever thinking “well, I’m going to watch every film involving surrealism…wait, what’s this? Suburban Commando? Well, I was expecting Bunuel, but if the IMDB tells me so, it can’t be wrong”. I think this is going to be a regular treat in reviews from now on.